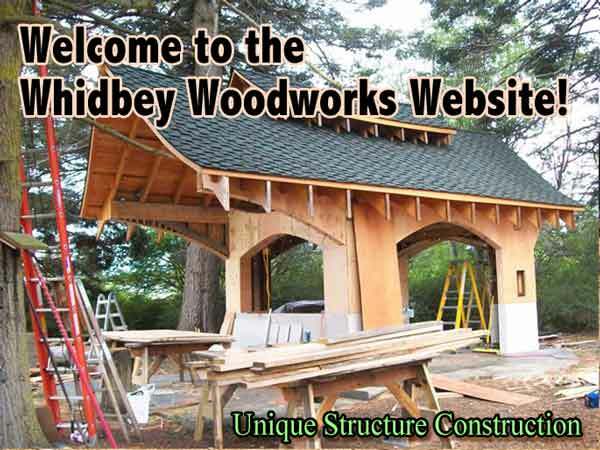 Whidbey Woodworks and Custom Milling is a small family sawmill business that is willing to do small specialized jobs or bigger orders. 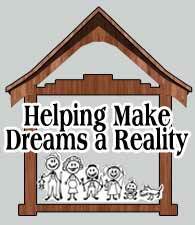 We are here to help make your dreams a reality. Live edge table tops, mantels, bar tops, stair treads and railings are just a few of many things we can offer. We also have a large supply of 1x10 - 1x12 Doug fir and Western red Cedar board n bat vertical siding. We can also supply live edge horizontal cedar siding also side wall fir and cedar shakes. Imagination is limitless on what our band mills can achieve. Let us help you design a backyard pavilion or make your tiny house look like a rustic cabin. Our Sawmill Services provide custom milling at our stationary mill site. 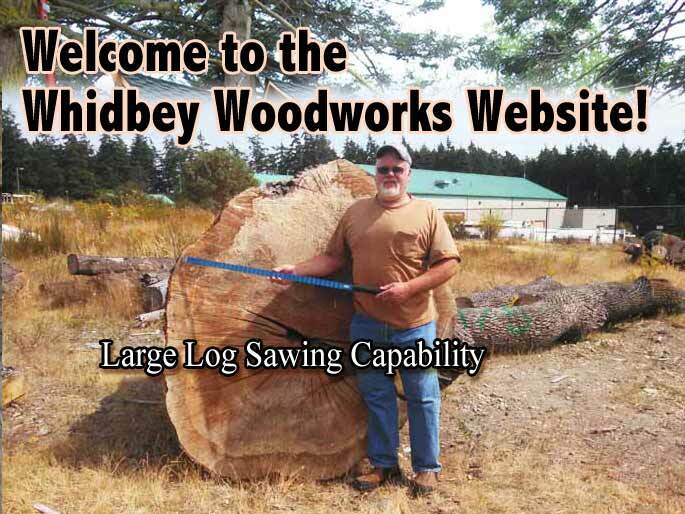 With customers logs or Whidbey Sawmill logs. 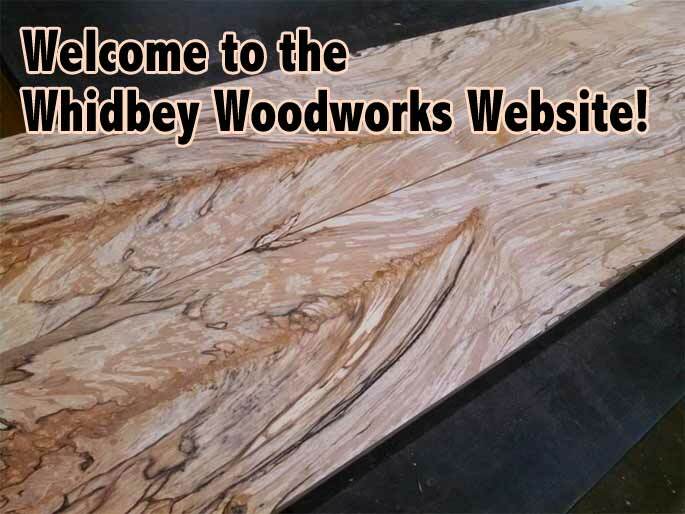 We sell wide slabs and boards milled from native trees on Whidbey Island and surrounding Pacific Northwest areas. We run two different band sawmills, a Timberking B-20 that can mill up too 30' long and a Hud-son 60 that can cut up too 56" wide. We also mill reclaimed beams to capture the old growth and aged wood for special projects. 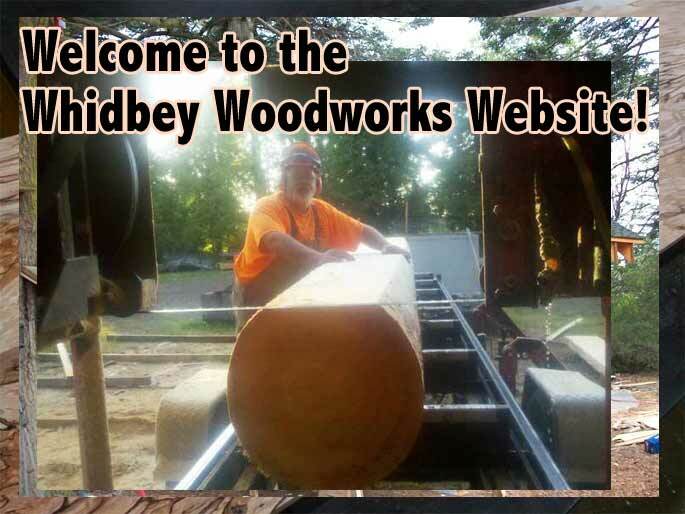 We specialize in abilities to get best types of flat sawn and quarter sawn results from quality logs or beams. Spalted Alder and maple is another specialty of ours.